In this video I show you how to build a coffee table. 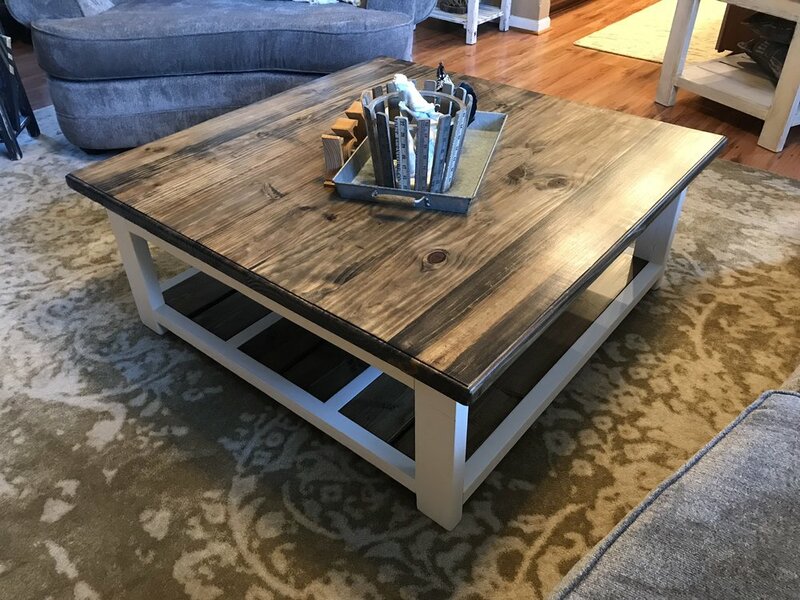 I build my farmhouse coffee table with simple materials and techniques that you can do too. Always follow all safety procedures. DIY farmhouse coffee table. In this tutorial video I show you how to build a coffee table for your home. This DIY coffee table is not only beautiful but very functional too. It is built from 2x8’s, 2x4’s, and 1x6’s. This coffee table is easy to build. It doesn’t take a lot of material to build. I use pocket hole joinery for all of the joints. The table top measures 45 inches square. The table is 18 inches tall. Amazon Affiliate links used in this article. 6 - 1x6 boards cut to 38" (cut to fit after frame is built). I cut my 2x2 out of 2x4's but you can buy 2x2 at the lumber store if you can't rip your lumber. You can also use 9 2x6's if you can't rip your 2x8's.